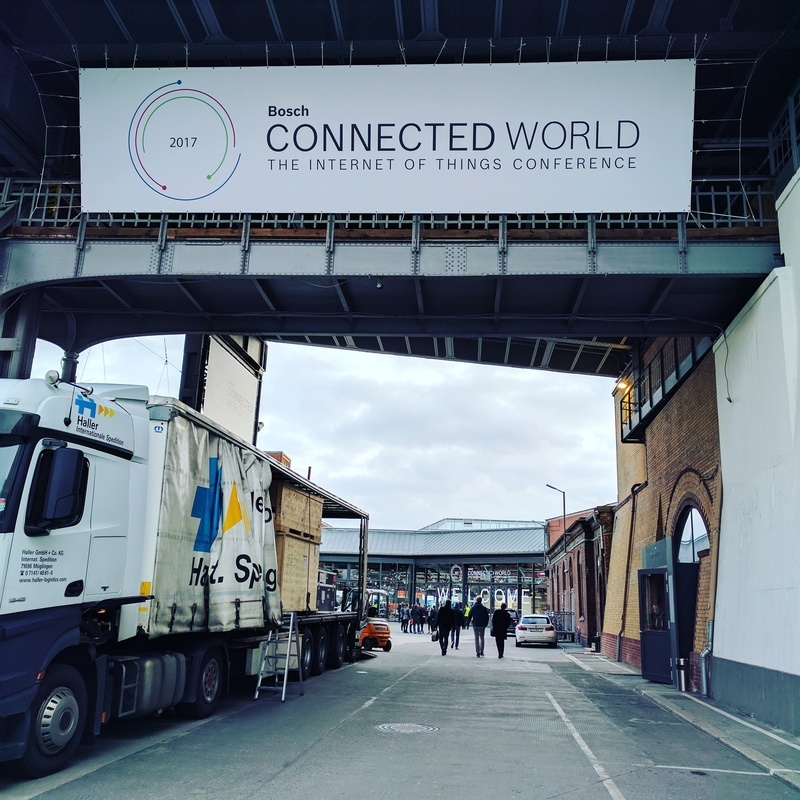 I’ve been attending the Bosch Connected Experience IoT hackathon this week at Station Berlin. Bosch brought a lot of different devices to the event, all connected to send telemetry to Eclipse Hono. To make them more discoverable, and enable rapid prototyping I decided to expose them all to Flowhub via the MsgFlo distributed FBP runtime. The result is msgflo-hono, a tool that discovers devices from the Hono backend and exposes them as foreign participants in a MsgFlo network. This means that when you connect Flowhub to your MsgFlo coordinator, you have all connected devices appear there, with port for each sensor they expose. And since this is MsgFlo, you can easily pipe their telemetry data to any Node.js, Python, Rust, or other program. Since this is a hackathon, there is a competition on projects make in this event. 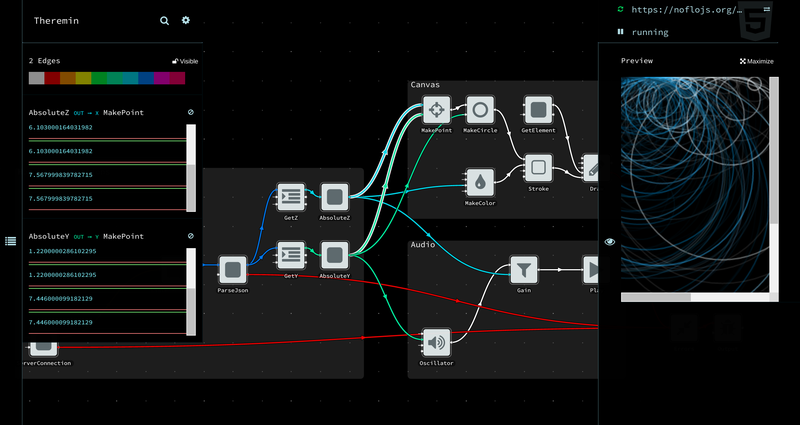 To make the Hono-to-MsgFlo connectivity, and Flowhub visual programming capabilities more demoable, I ended up hacking together a quick example project — a Bosch XDK controlled air theremin. The NoFlo graph starts a web server and forwards the telemetry data to a WebSocket client. Then we have a forked version of Vilson’s webaudio theremin that uses the telemetry received via WebSockets to make sound. The whole setup seems to work pretty well. 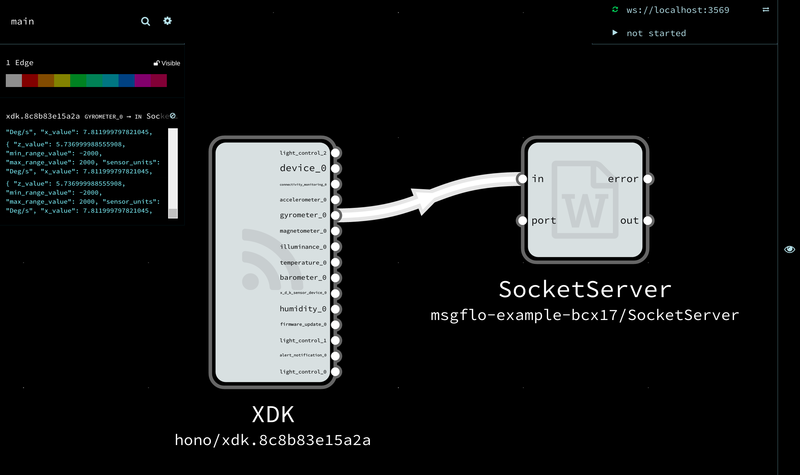 The XDK is connected to WiFi here, transmits its telemetry to a Hono instance running on AWS. This data gets forwarded to the MsgFlo MQTT network, and from there via WebSocket to a browser. And all of these steps can be debugged and experimented with in a visual way. Update: we won the Open Hack Challenge award for technical brilliance with this project. 04 July 2017 in Berlin, Germany. 4 minute read. 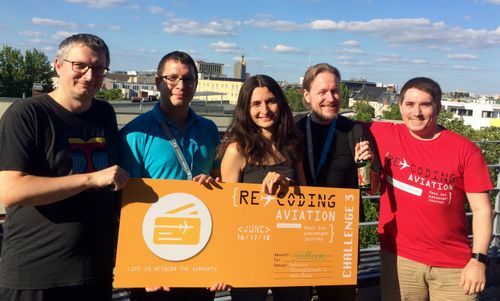 I just got back to Berlin from the Bitraf IoT hackathon we organized in Oslo, Norway. 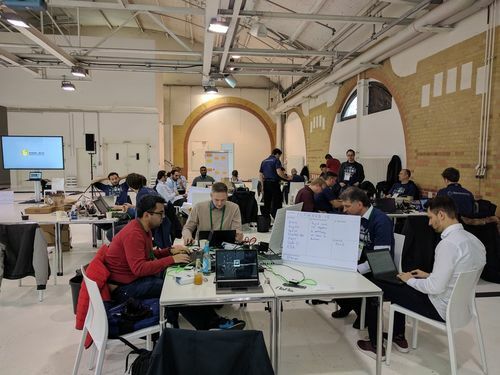 This hackathon was the first of two IoT workshops around MsgFlo and Flowhub IoT. The second will be held at c-base in Berlin this coming weekend. 19 June 2017 in Berlin, Germany. 6 minute read. Last week I participated in two hackathons, events where a group of strangers would form a team for two or three days and build a product prototype. In the end all teams pitch their prototypes, and the best ones would be given some prizes.